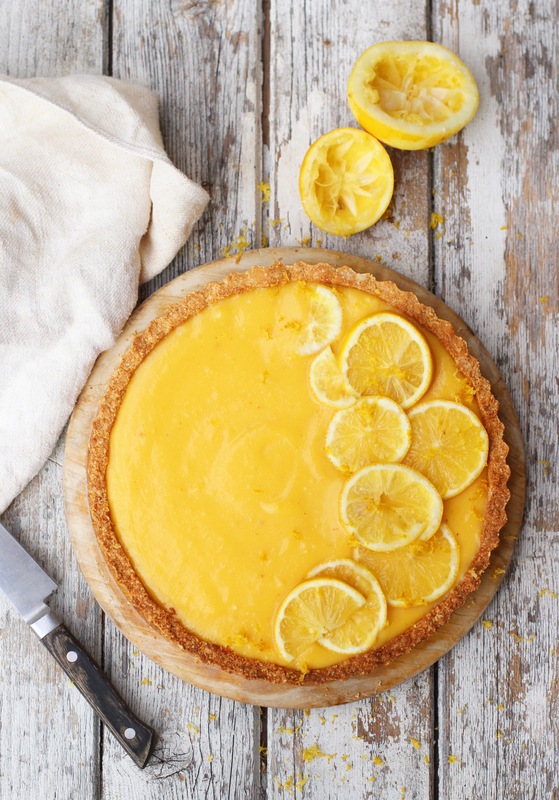 This is so zingy and the perfect balance of sweet and tart. Lemon curd is one of those things that always shocks me when I have the first taste, it’s always more delicious than I remembered! Paired with this crumbly almond crust, the creamy filling is just heaven. Start with the filling, zest one of the lemons and set the zest aside. Then add all of the filling ingredients to the food processor and blitz until combined. Pour the mixture into a saucepan and place on medium heat. Whisk continuously until the mixture gets nice and thick (about 8 minutes). Make sure you don’t let the mixture boil, you should be stirring almost the whole time. Take the filling off the heat and whisk in the lemon zest, then transfer it to a bowl. Cover with cling film so that the film is touching the mixture (to stop a skin forming) and place in the fridge to cool while you make the crust. Combine the salt and ground almonds in a large bowl. Add in the melted coconut oil, maple syrup and whisked egg and mix well. Grease a 9 inch tart tin with a removable bottom with a little coconut oil. Press the mixture very tightly into the bottom of the tin and up the sides. Bake for about 10-12 minutes until golden. Set aside to cool completely. When everything is cool, spread the filling evenly into the crust. Chill for 1 hour, then serve. 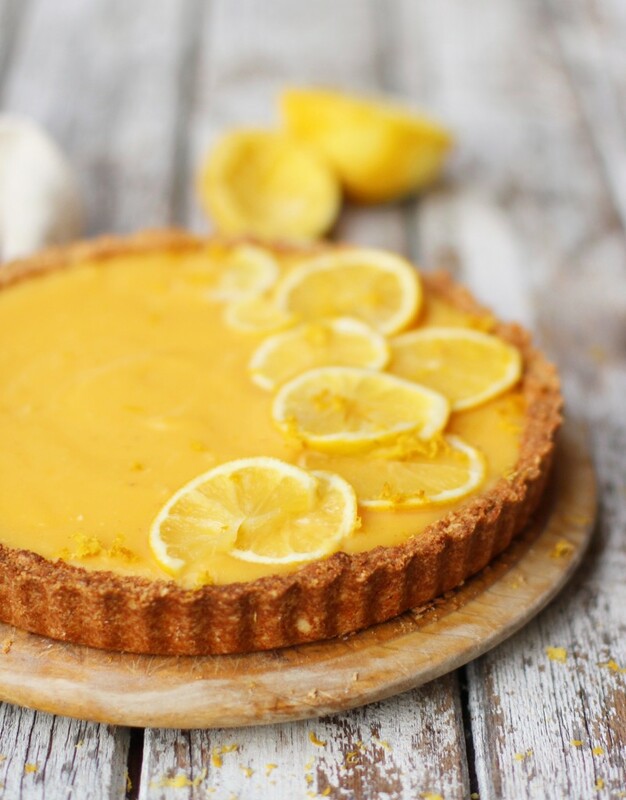 I am so happy to see a recipe for this, I love lemon tart. I’m definitely trying it. Thank you. Hi Indie can I substitute the honey for maple syrup or rice malt syrup? Or will that effect the flavour too much?